Great-sounding keyboard amp with preamp. 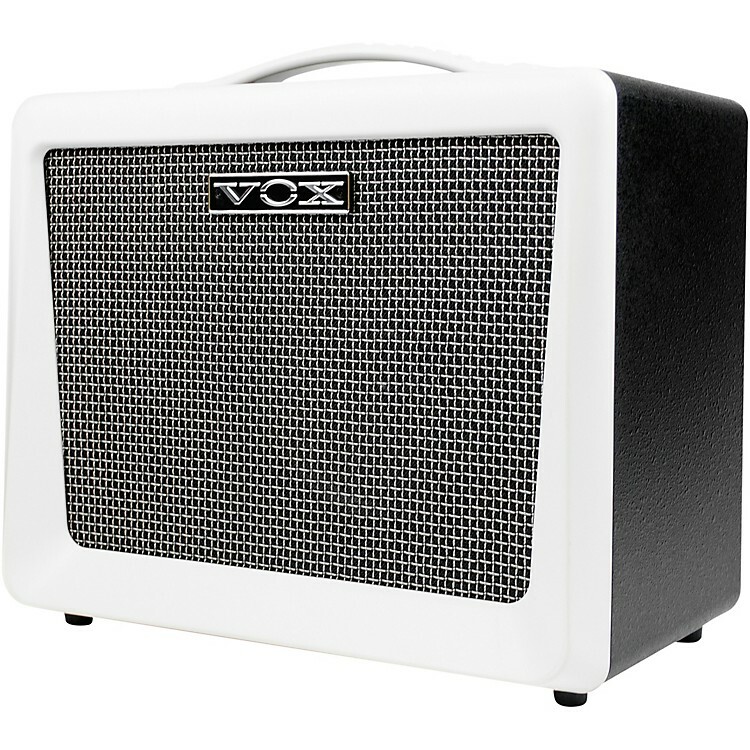 The VOX VX50 KB is a compact, lightweight and cutting-edge keyboard amplifier with an impressive 50 watts of output power and clear, transparent tone courtesy of the Nutube-equipped pre-amp. Beyond its impressive sound, the VX50 KB provides players with three independent channels, one of which accepts Line or Mic levels, and a three-band master EQ for full control over the sound. There's also a full assortment of input/output jacks for connecting your headphones, media player or PA system. Weighing in at only 9 lbs., the VX50 KB is a fully-featured keyboard amp that doubles as a mobile PA system. The compact and lightweight VX50 KB was designed specifically for keyboard and features a coaxial speaker and unique bass reflex structure that ensures crystal clear high-end, rich low-frequency reproduction, and warm vacuum tube sound courtesy of the all-new Nutube preamp. The three-channel design provides an independent volume control for each channel, and CH3 also supports mic input, which allows this mobile keyboard amp to double as a simple and portable PA system. A full complement of input/output jacks is also provided, including an AUX IN jack, headphone jack, and a LINE OUT jack for connection to a professional PA system. This amp is also ideal for on-stage use as a monitor amp, or as an at-home practice amp that will pair perfectly with your keyboard collection. The keyboard amp design you'e always wanted.